Dr Mahanty is an infectious diseases specialist and physician-scientist whose research focuses on host-parasite interactions in the pathogenesis of parasitic infections. He received his medical training at UNSW, Sydney and Infectious Diseases training and an MPH at the University of Oklahoma in the U.S.A. After clinical specialization, he pursued a career in research on parasite immunology, working at the National Institutes of Health (NIH), Bethesda, Maryland, McGill University, Montreal, Canada and the Centers for Disease Control in Atlanta. After 13 years at the NIH as a Physician-Scientist, he joined the University of Melbourne in January, 2017 as an Associate Professor at the Doherty Institute for Infection and Immunity and the Victorian Infectious Diseases Service (RMH). His current research interests are in the mechanisms of immunity against malaria and immunopathology of intestinal helminths. 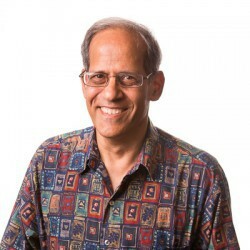 Through his research involving the study of cellular immune responses in the laboratory and in clinical settings he has made significant contributions to our understanding of immunoregulation in human filarial infections, malaria vaccine immunology and the pathogenesis of human cestode (tape worm) infections. Since 2007, his research has focused on cysticercosis, specifically, on the role of immunopathology in pathogenesis of neurocysticercosis. In collaboration with Dr. Theodore Nash, he developed and exploited animal models of neurocysticercosis to study the regulation of inflammation in the central nervous system. The elucidation of immune pathways to pathology in these models have led to treatment strategies to inhibit inflammation in the central nervous system following treatment of cysticercosis with anthelmintics in humans. Malaria is a disease of global importance and a major threat to health security in endemic regions. The focus of the Mahanty group's research is on the pathogenesis and immunology of malaria. The goal of their research studies is to elucidate the mechanisms underlying the clinical severity of illness caused by human infections with Plasmodium falciparum, the parasite responsible for the majority of cases of severe malaria, and to better understand protective immune mechanism in the human host.